HostandStore > Blog > Web Design & Development > How Do I Build An Effective Landing Page? Or any other action that will increase your traffic or profits. 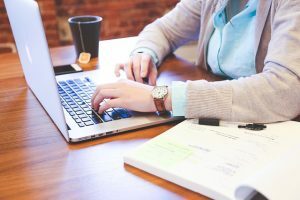 Just like building a website, blog article, or any type of material for the internet, there are several guidelines you should know before doing so. In order to build a good landing page, I highly recommend you follow some of these guideline. Do you remember back in high school, or even college, when you had to write a persuasive paper? A landing page is much like that in the sense that you are trying to persuade your audience to do an action you desire them to do. This means a landing page should be somewhat simple and straight to the point. Your audience won’t stay on a landing page long enough to scroll down a lot. This means you are limited to get your point across without using more than a page or page-in-half. Also, you want your landing page to be visually appealing, but not distracting. Limit yourself to one or two images that will intrigue your audience but not distract them. It’s also a good idea not to use stock photos on a landing page. Your audience may realize it is a stock photo or may have seen it before. Try to put your own unique photos or illustrations up. Lastly, a big distraction for an audience is when a business uses their navigation bar on their landing page. Make a conscience effort to not put one in. This has helped increase conversion rates for websites. Always keep in mind that a landing page is a call for some type of action by the person who landed there. By adding a navigation bar or too many other links, you will distract your audience from your main purpose. Your context needs to be powerful. It should be easy to read and give the readers relevant information. It also needs to represent our brand well. Branding is what most companies do so that they are easily recognized in a commercial or in other advertising materials. Branding is how your audience or customers will remember you. You can do this with a logo, font, wording, a slogan, or a combination of these. Just remember to keep it simple and persuasive. Keep in mind that your landing page is a stand-alone page aside from your website. You need enough information on it so that your audience understands what you want and who you are, but it shouldn’t be too wordy that it bores them or distracts them from your purpose. If you are very clear about these concepts, your audience will more likely understand what you want from them and your conversion rates will increase. Landing pages don’t have to be complex. Nor are they as hard as building a whole website. There are several types of landing pages, but the two that are used the most often are a lead generating landing page and a click through landing page. This type of landing pages is meant to persuade the visitor to go to another web page. This type of page can be used to describe products or companies and get the user to visit your website. It could also help warm up your audience to the idea of making a purchase. Choose the type of landing page that best fits your needs and your conversion rates. By choosing a good type of landing page you can increase traffic and profits. You can also have a few different type of landing pages in order to have different actions take place for your business or website. Overall, I say do what works well for you and your business. Now it’s time for you to build your own landing page. Use these guidelines to your advantage and build on them. Also, take the time to get a better understanding of conversion rates and branding when it comes to landing pages. Remember to keep the page clear and persuasive so that you will get your audience to take the desired action you wish them to take. What would you like to read about next in our blog? Contact us with suggestions!